Is there anything more idealistic than pregnancy? It’s a time of pure potential to create a perfect child and a perfect parent. An ideal is the concept of something in its absolute perfection. Idealism argues that reality depends on our ideals of what something should be, even when evidence says it could also be something else. The problem with idealism is: it’s purely subjective. One person’s ideals about what constitutes a perfect pregnancy, birth or parent may be entirely different from someone else’s. I’m naturally idealistic and unrealistically optimistic. I believe in pure potential and that everyone should strive to do her best every day. Decades of living, parenting and labor and delivery nursing have taught me, however, that all too often, real life circumstances come around and show us our ideals are unrealistic and misguided. They may even be unnecessary. I’m thinking of women whose ideal births could only be un-medicated and pain-free. Then reality stepped in and they discovered it wasn’t at all what they’d imagined. I’m thinking of a woman in labor who was on parole. She never dreamed when she was little that she’d shoplift to feed her kids. I’m thinking of the doctor I took care of who knew all about the risks of taking drugs during pregnancy, yet still tested positive during pregnancy for marijuana. I’m thinking about the schizophrenic patients and the painfully anxious ones. I’m thinking of all the women who beat themselves and other women up when they don’t meet their ideals of what it means to be a good mother. If we don’t keep an open mind, being idealistic can quickly morph into being judgmental. Maybe that’s because we value our role as “parent” so highly. Maybe it’s because ragging on other mothers boosts our self-esteem. From the looks of what’s going on online, maybe it’s just that the Internet makes it easy to vent. When someone in the public eye does something that goes against our ideals, people have a lot to say about it, especially when it involves pregnancy. • An Indiana woman who attempted suicide and lived, but later delivered a premature baby who died. Now she’s being prosecuted for the death of her baby. Kate was photographed doing what millions of women do while pregnant – having a little alcohol - but paparazzi outed her. Idealism preaches that pregnant women shouldn’t let a drop of alcohol pass their lips. That’s because fetal alcohol syndrome is tragic and entirely preventable. The American Congress of Obstetricians and Gynecologist makes a very strong “no alcohol at all” statement about it. They say heavy alcohol use causes birth defects and no amount of alcohol during pregnancy has been scientifically studied or proven safe. But what about the recent study from Australia that says light drinking does not cause birth defects? How about American researchers who say a little alcohol probably doesn’t do any harm. What about women in other parts of the world (like Europe) where medical standards are more relaxed? What about all the mothers who drank while pregnant before the 1960s? People have different ideals, though everyone agrees, it’s probably best to avoid drinking. Natalie is a poster girl for healthy eating, yet commentors are deriding her food choices. Some say she’s taking big health risks by eating any animal protein at all while more say that even being vegetarian is risky. There’s so much righteous indignation in these comments you’d think she’d chosen to butcher a cow in her neighbor’s yard, instead of simply adding a little dairy to her diet. By the way, The American Dietetic Association and Canadian Dieticians say vegan and vegetarian diets are just fine during pregnancy. The story about the suicidal Indiana woman is heartbreaking. Read the article and take a look at the case filed in the Indiana Courts before you pass judgment. The prosecution is acting on 20-year-old drug laws that say women who use drugs or harmful substances during pregnancy that cause harm to their fetus should be reported by their doctors and prosecuted. ACOG disagrees. The American Medical Association, American Psychiatric Association, ACOG, The American Academy of Pediatrics and the American Psychological Association all have long standing policies opposing taking criminal action against women whose actions are believed to have harmed their fetuses. Read ACOGs statement about whether women should be prosecuted and incarcerated for substance abuse during pregnancy. Depression, mental illness and substance abuse aren’t idealistic to anyone. Unfortunately, they are part of some women’s reality. Last week’s blog mentioning Planned Parenthood as a potential target for US budget cuts generated some strong words; mostly from people who don’t support continued funding. So, I decided to search the Internet to see if other articles garnered such strong opinions. Sure enough, even though Planned Parenthood is prohibited from using federal funds for abortion and 90% of their budget goes for women’s health services like contraception, cancer screening and well-woman care, commentors were adamant about their ideals. Here are links that include comments from National Public Radio, Fox News and Facebook. Every day is a new opportunity to live up to our best potential and to be idealistic. But every day is also another opportunity to live by the ideal Atticus teaches Scout in To Kill A Mockingbird, "You never really understand a person until you consider things from his point of view . . . until you climb into his skin and walk around in it". 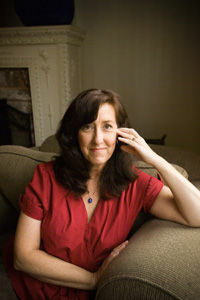 Jeanne Faulkner, R.N., lives in Portland, Oregon with her husband and five children. Got a question for Jeanne? E-mail it to labornurse@fitpregnancy.com and it may be answered in a future blog post.